Dundee currently has the highest number of electric taxis and private hire vehicles in Scotland, including the Dundee taxi firm 203020 who recently launched one of the UK’s largest electric fleets, comprising 30 Nissan LEAFs. Dundee City Council have also made great strides within their own fleet, replacing a large number of diesel vehicles with electric alternatives. 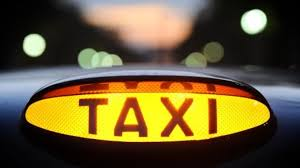 This trend continues to be supported by the recent expansion of the ECO Stars project within the city to include taxis and private hire vehicles, which helps operators manage their vehicles more efficiently, and reduce their impact on local air quality and the environment. The city is also undergoing an extensive programme of redevelopment, which provides an ideal opportunity to introduce the infrastructure that is required to encourage and support a large scale shift to low emission vehicles. The government will announce the winning schemes in April next year; STEP wishes Dundee the best of luck.